I've designed the Adrenal Kit to help you wake feeling rested and go to sleep with ease. This comprehensive adaptogenic and nutrient formula supports optimal adrenal health, stress response, and overall hormone balance. Adrenal support is the foundation overall hormone support. Who Should Use the Optimal Adrenal Kit? 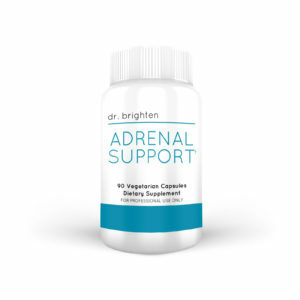 Adrenal Support was created to optimize stress hormone production and energy. Adrenal Calm is designed to “take the edge off” and support restful sleep. The two formulas work synergistically to rebalance circadian rhythm, reduce the “wired and tired” and “frazzled” feelings that come with being a busy woman, and enable optimal performance. If you're on hormonal birth control, thinking about coming off, or have already ditched them for good, this supplement protocol can help. If you're enrolled in my Birth Control Hormone Reset™ or Hormone Revolution Detox™ these are foundational supplements you'll want to consider. 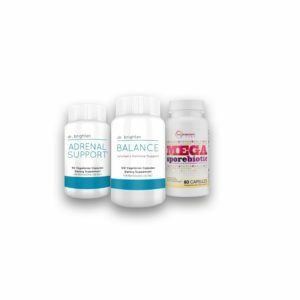 What is Included in the Optimal Adrenal Kit? 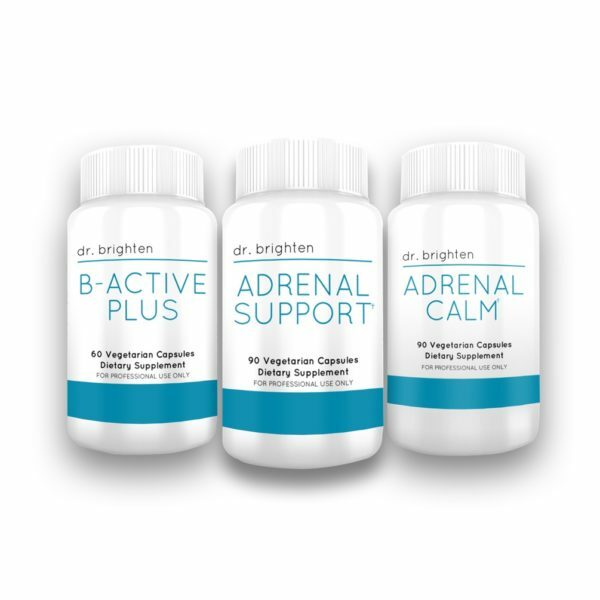 The Optimal Adrenal Kit includes a month supply of Adrenal Support and Adrenal Calm. This a comprehensive protocol that has been used by thousands of women to support an optimal stress response and hormone health. Here's the deal. I'm not about to recommend any supplement that I wouldn't use myself, give to my family or recommend to my patents. We use the highest quality ingredients that are as hypoallergenic and environmentally friendly as possible. Our products are manufactured in the U.S., gluten free, and dye-free. Or in other words, I'm not recommending anything that can hate on your hormones. So you won't find needless fillers, GMO, or junk nutrients in our products. You know I don't mess around. Wow! I finally wake up feeling like myself and don’t toss and turn all night. I was told I have stage 3 adrenal fatigue. This kit really helped! I have more energy and I’m less anxious. Unbelievable how good this works. I started these while in Dr. Brighton’s birth control program. I’ve been on them for a couple of months now and continue to feel better. These are the first supplements I’ve found that have really helped reduce my anxiety, not just when I have it, but throughout my cycle and every day. I can’t even begin to explain what a relief this has been and my marriage is better because I’m not losing my mind before my period. Thank you Dr. Brighton for your program and for helping women like me. I have Hashimoto’s and am MTHFR homozygous. I have to be really careful about the supplements I take. I have had great success with these and have more energy than I have with other supplements. My inflammation is much better and I also can sleep past 5 am now. It’s been years since I’ve been able to get a good nights sleep. If you have Hashimoto’s too then I would urge you to consider adding these into your supplements. I love both of these! I feel so much better after starting them. I found this really easy to do and have much more energy now. Quality supplements. Highly recommend them. I’m no longer waking up in the middle of the night in a panic! And I have way more energy during the day.